الموضوع في 'برامج التصميم والملحقات' بواسطة الزعيم الأول, بتاريخ ‏سبتمبر 11, 2013. More freedom, speed, and power to make incredible images real. You’ll get dozens of new and reinvented features, including the most advanced sharpening tool available. Share work right from Photoshop® CC to Behance® to get feedback and showcase your own projects. Get access to new features the moment they’re released. Your entire creative world, together in one place. Only in Creative Cloud™. Photoshop® CC is part of Creative Cloud™. That means you have access to all the latest updates and future releases the moment they're available. Use Save to Cloud to keep your files organized across multiple computers. And with Behance® integration, you can share your projects straight from Photoshop CC and get immediate feedback from creatives around the world. أو أنشئ حساب بخيار "Create Adobe ID". و تجده مرفق مع الملف . 2. 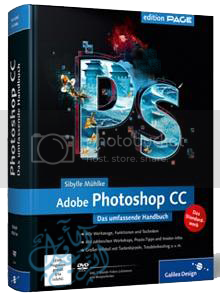 إضغط على "Sign In" لدخول حسابك على أدوبي أو أنشئ حساب "Create Adobe ID". 3. قم بتشغيل البرنامج و إضغط على "Start Trial" و أغلق البرنامج . 4. تركيب تحديثات البرنامج . بحسب نوع النظام عندك 32BIT أو 64BIT و نوافق على الإستبدال . و تجده مرفق مع الملف أو من هنا . لاحظوا تعطّل خيار التحديث و الخروج من الحساب . marwan2013 ،universal و ريشة خير معجبون بهذا. marwan2013 و الزعيم الأول معجبون بهذا. أتمنى لك كلّ التوفيق بإذن الله . ريشة خير ،marwan2013 و iolemat معجبون بهذا.